One of the many exciting aspects of Unity Days will be the cast meet and greets. You get to spend some quality time with your favorite, and who would not want that? Below, you will find the time schedule and information. 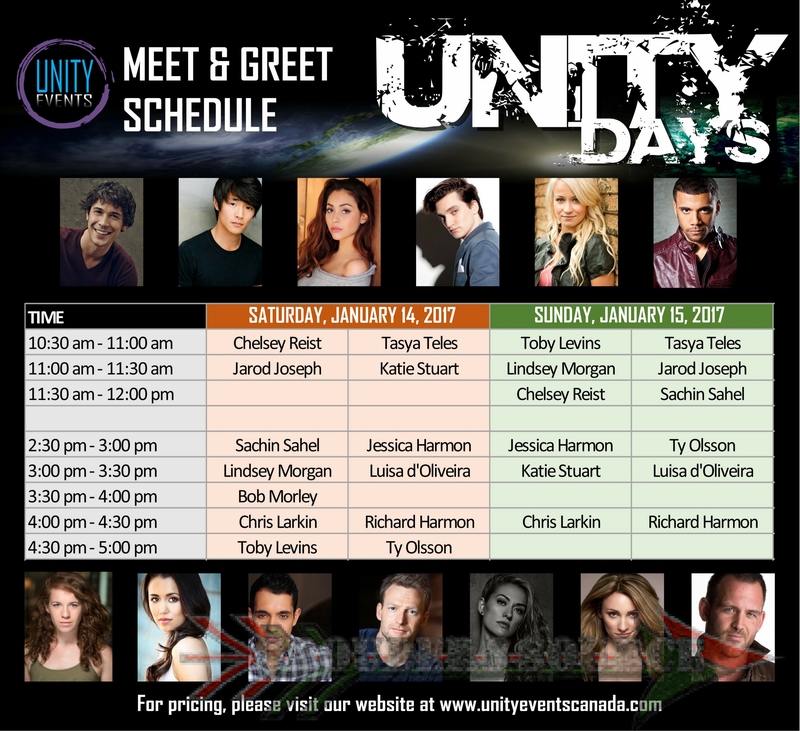 For more information, and pricing (Bear in mind that the prices are in Canadian) on Unity Days, and its company, please visit unityeventscanada.com.